Most people experience aches and pains at some point in their lives, but they’re generally not signs of any underlying condition. Try and stay active as bed rest for more than a couple of days makes it harder to get going. 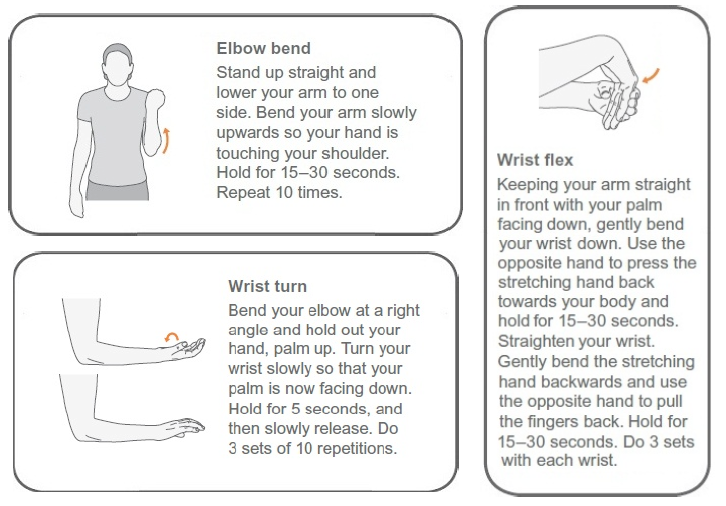 Here are some gentle exercises and stretches that can be done at home to help ease the pain and prevent future symptoms. Remember to gradually return to your normal activities. Note: If the pain is severe or not improving after a week or so, contact your doctor. 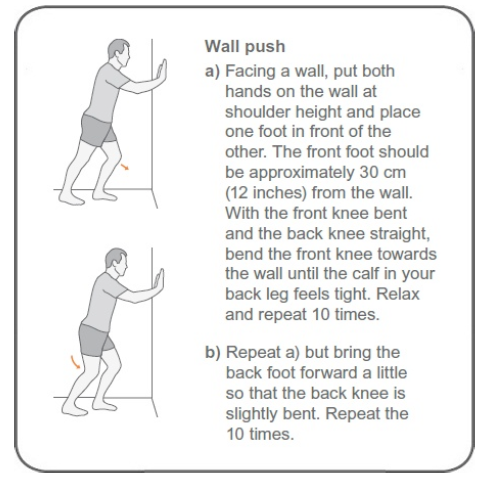 A warm up should be done before each exercise session. E.g. Marching on the spot or a short brisk walk around the house. 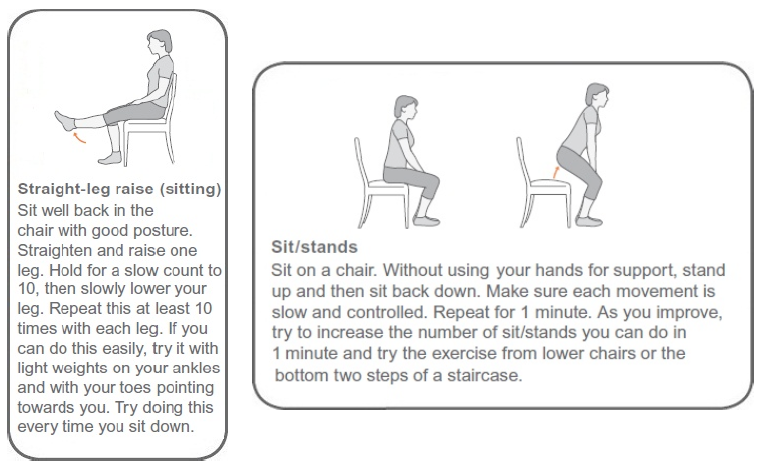 This gets the body ready to stretch safely by increasing the blood flow to the muscles and joints. Here are some points to follow when stretching. Always complete a warm-up session prior to stretching. 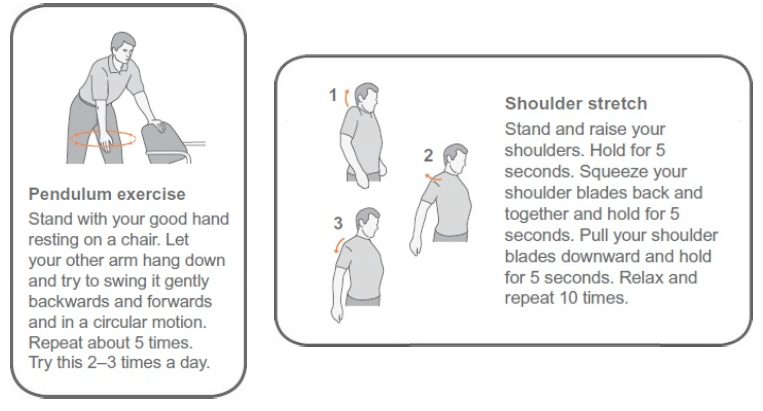 Stretch until a mild tension is felt, then hold. All stretches should be held for up 20-30 seconds unless otherwise stated. Never stretch torn or injured muscles unless you have consulted with your doctor. Focus on the stretch and avoid any distractions. Try to relax the muscles throughout the movement of the stretch, as this will help to alleviate any unnecessary tension within the muscle. Do not hold your breath, breathing freely helps you relax and get the best stretch. 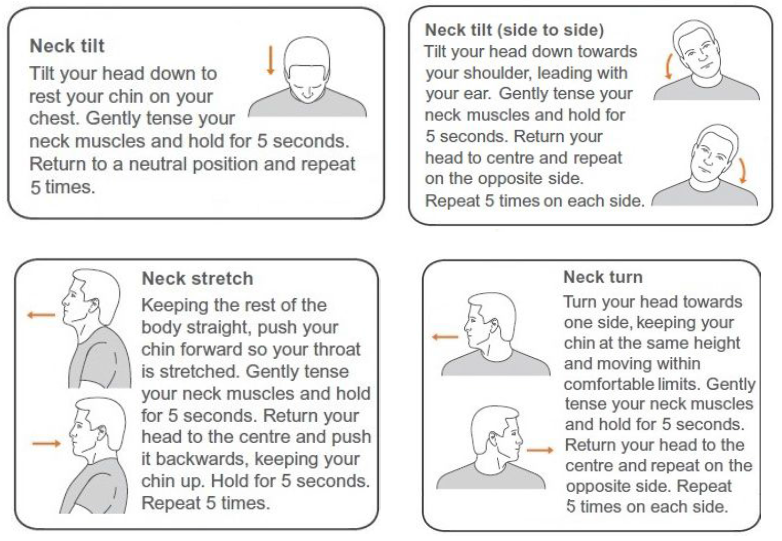 Always complete each stretch for both sides of your body, not just the side you feel stiff.